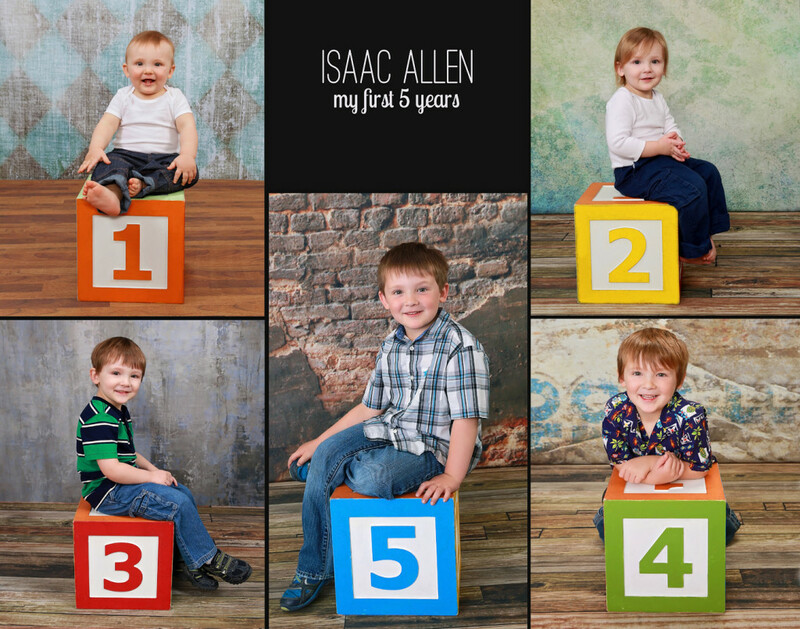 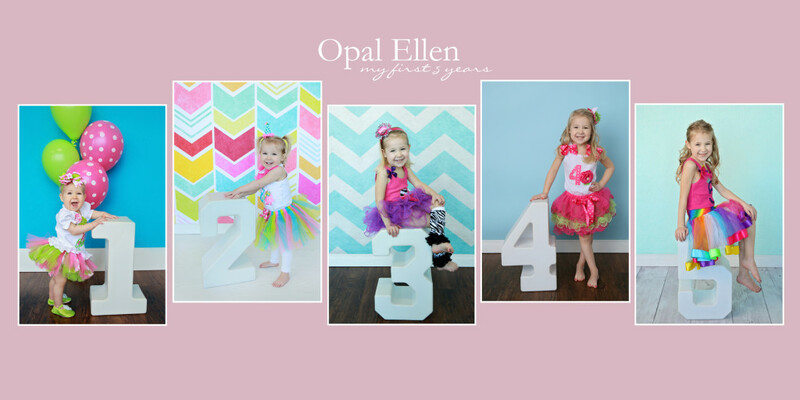 Capture your baby’s growth over their first five years! 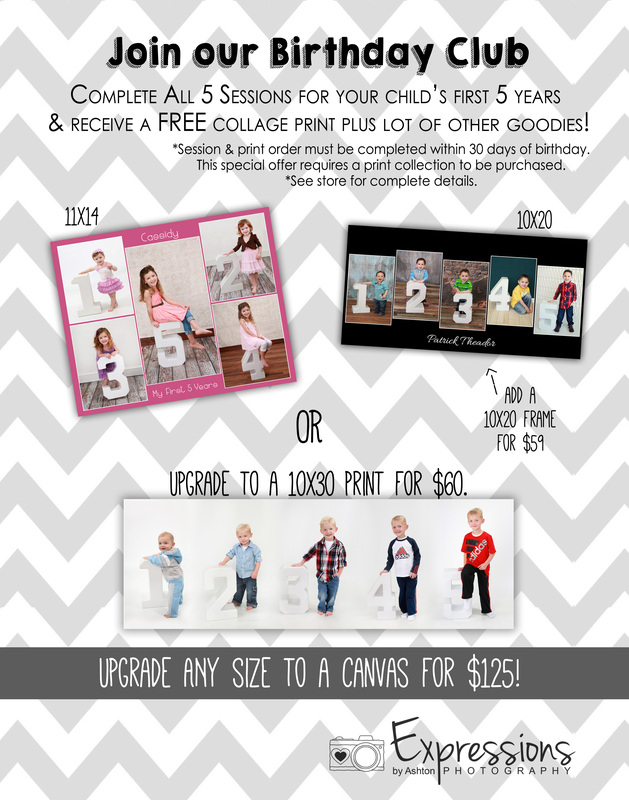 Birthday Club Members receive 10 additional digital images on their child’s simple session when they purchase any digital image collection. 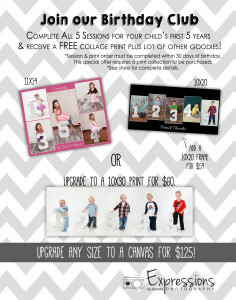 Plus, receive a free wall collage showcasing their growth over the years. 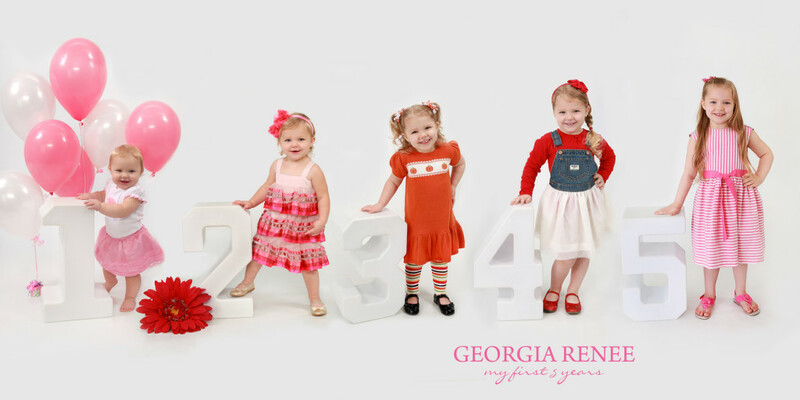 Newborn Photography Plan Also Available.